Jeera prices dropped on account of reports of progress in harvesting activities in the main producing regions of Gujarat and Rajasthan. In Unjha, a key spot market in Gujarat, jeera edged up by 8 Rupees to end at 16608 Rupees per 100 kg. 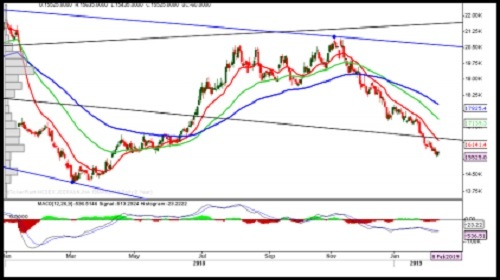 SELL JEERA 19 MAR 2019 @ 15700 SL 15850 TGT 15500-15350.NCDEX.